As President Obama delivers the his fifth State of the Union address tonight, he'll have a lot of boxes to check. Depending on who you ask, his speech will emphasize jobs,cyber security, European trade, nuclear disarmament, climate change, immigration, gun laws, and voter fraud. Experts have passed him talking points, outlined his speech, speculated about how long it will run (the smart money is on 65 minutes) and analyzed the PR effect that the State of the Union has (as it turns out, not that much). By their nature, State of the Union speeches tend to be broad, but not that deep, which means that, to some extent, the president will likely check off most of the boxes. Some, like climate change, will probably get short shrift; others, like gun laws, will probably get a bit more attention. And without question, the subject receiving the most oxygen will be the economy. For Obama, that's a promising topic. As the Associated Press recently noted, the economy is in much better shape than it was when Obama first assumed office. Unemployment is down, car sales are up, and home sales have begun to rally. The recovery is starting to trickle down to the middle class, and things are looking better for many of the voters who saw their lives upended in 2008. Beyond that, the economy is one of the few political arenas in which Obama is scoring political points right now. For all the sturm und drang of the gun debate, the president's much-discussed collection of executive orders will likely have a negligible effect on gun violence. Substantive change would require action by Congress, and given the millions of dollars of gun lobby money pouring into the House and Senate, that is unlikely to come soon. In the case of the economy, however, Obama's direct appeals to the American public have borne fruit. Right wing complaints about class warfare aside, Obama's acknowledgment of middle class pain and upper class profits found a wide and supportive audience. And since the election, he has been consistently winning his economic fights with Congress: The fiscal cliff fight ended with an increase in upper-class taxes and a freeze on middle class rates. A little later, the debt ceiling fight ended with a measured retreat, as Congress punted it to May. Next up is the sequester. Republicans are already attempting to place the blame on Obama, a rhetorical move that suggests that they may be trying to distance themselves from the disastrous gambit -- which could be one step away from willingness to fold. Meanwhile, the president has taken aim at the carried interest tax rate, a loophole for the uber-wealthy that Republicans will find it hard to defend -- especially while they are renewing their efforts to reach out to the middle class. As numerous pundits have pointed out over the years, one of the most powerful tools at a president's disposal is the bully pulpit: the ability to use his prominence to take his concerns directly to the American people. 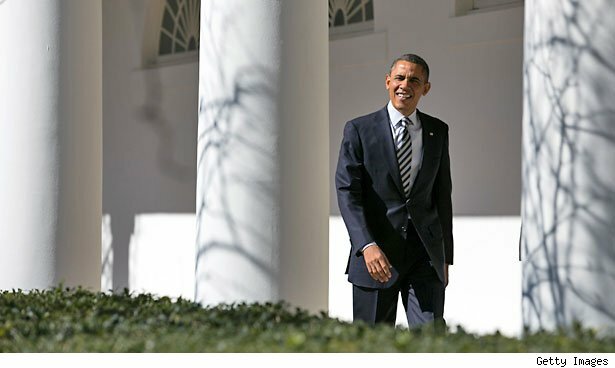 Over the course of his presidency, Obama has often been ineffectual at using that intangible power of his office to the fullest, but over the last few months, he seems to have adapted to the fact that, in the absence of a friendly Congress, his best tool may be the energized voters who put him in office in the first place. Tonight's State of the Union could well be yet another example of that lesson in action.